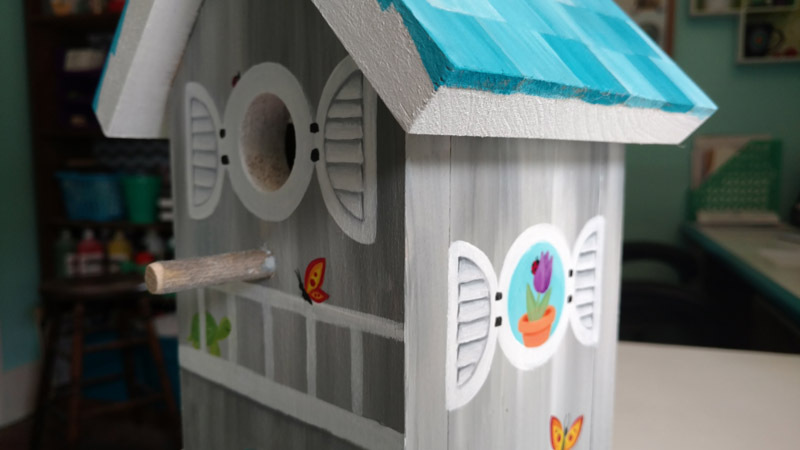 Erie DAWN is an organization that provides supportive housing, case management, mentoring, and advocacy for women in need. 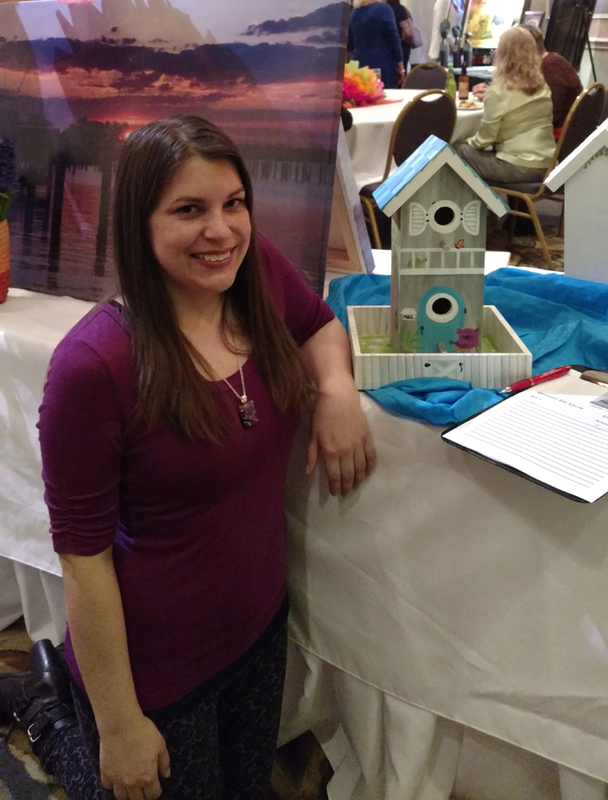 Every year, they host the Erie DAWN “Come Fly With Me” art auction. 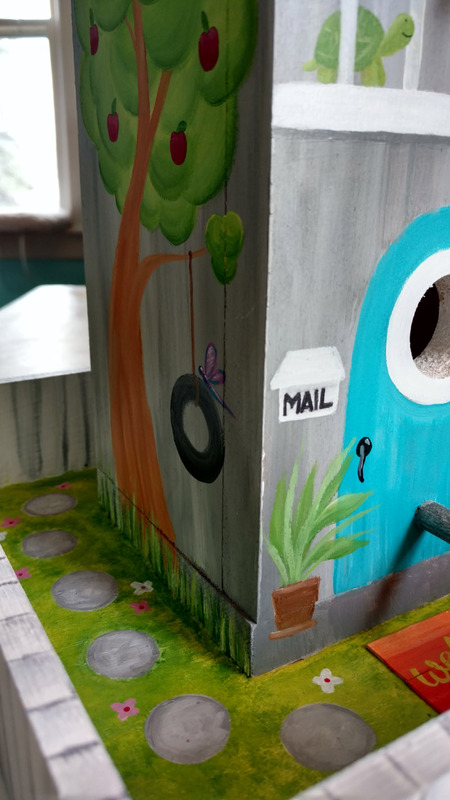 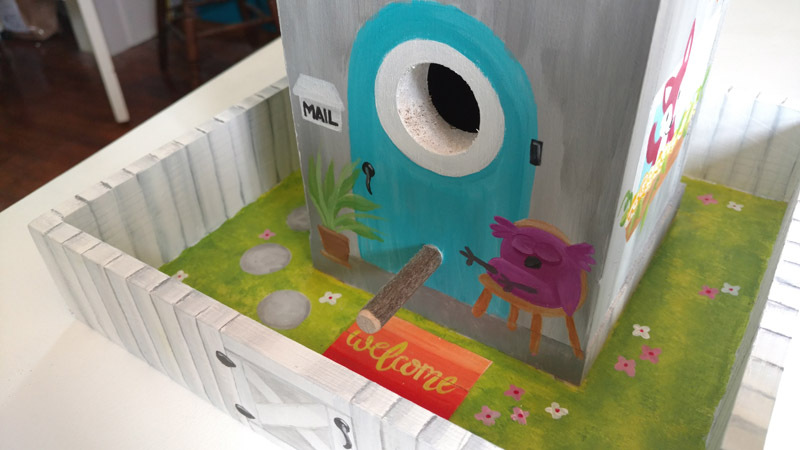 The theme is usually something related to birds and/or birdhouses, so I decided to do a hand-painted birdhouse for the 2017 art show. 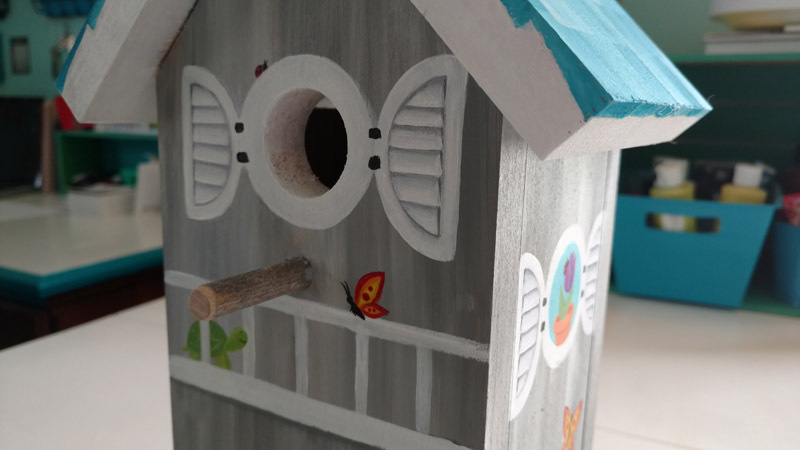 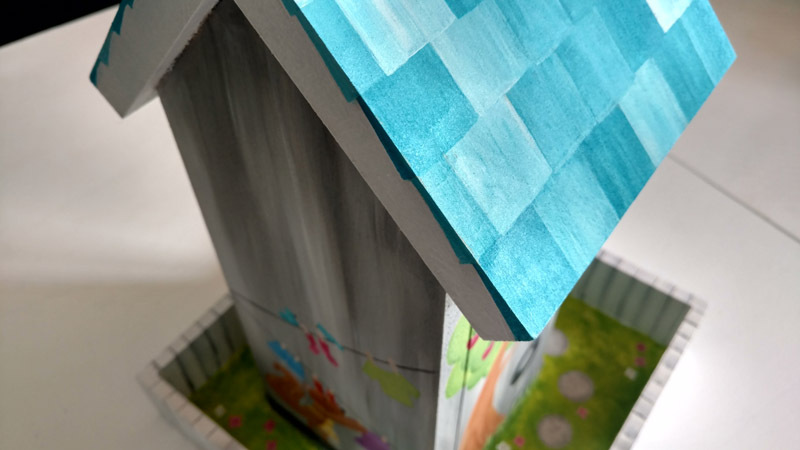 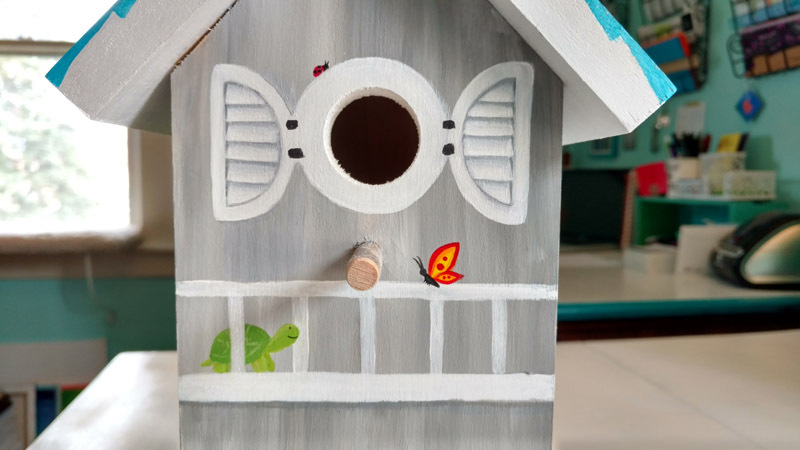 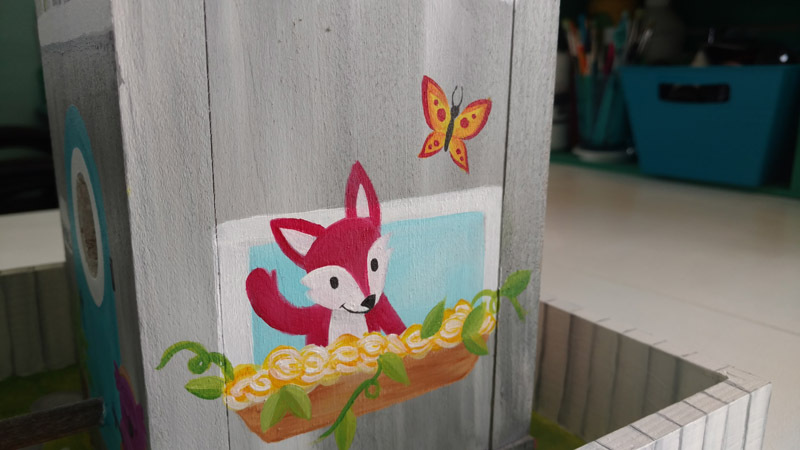 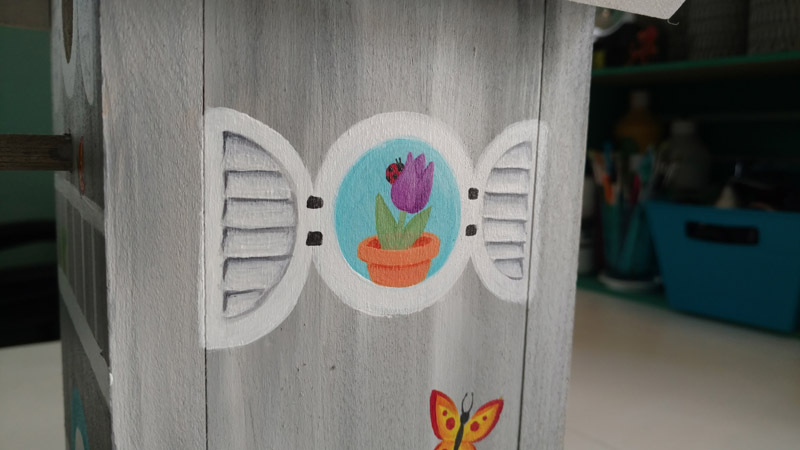 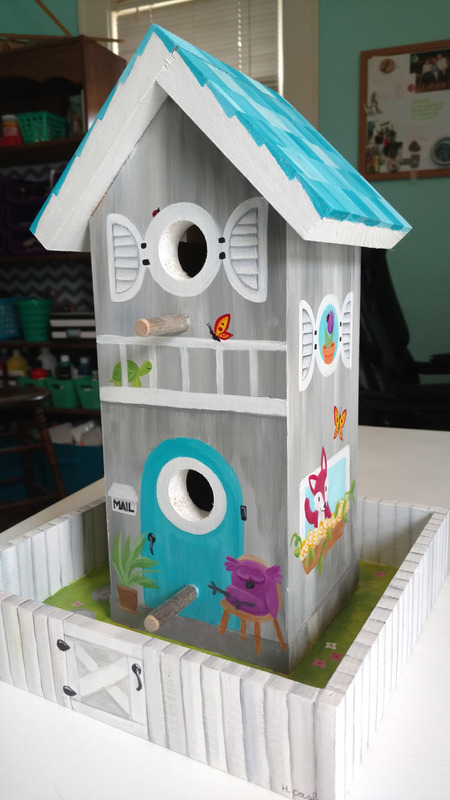 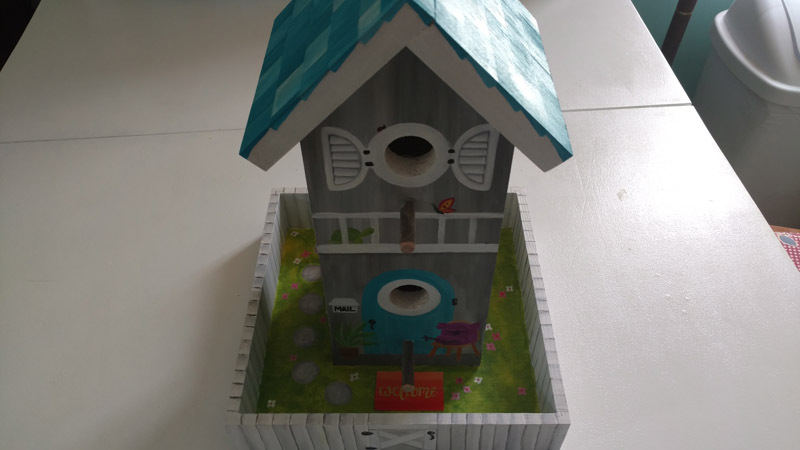 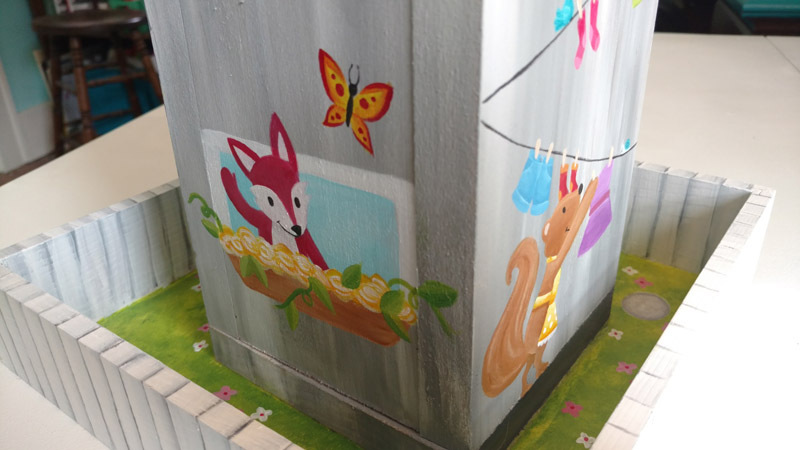 I painted the wooden birdhouse to look like a house for woodland animals. 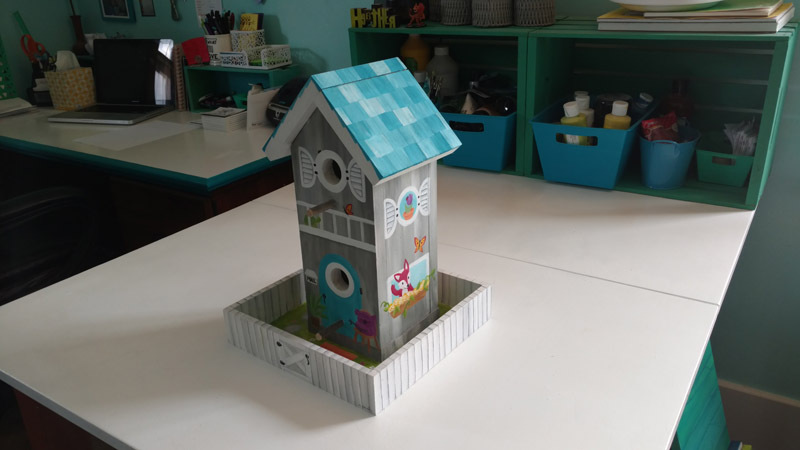 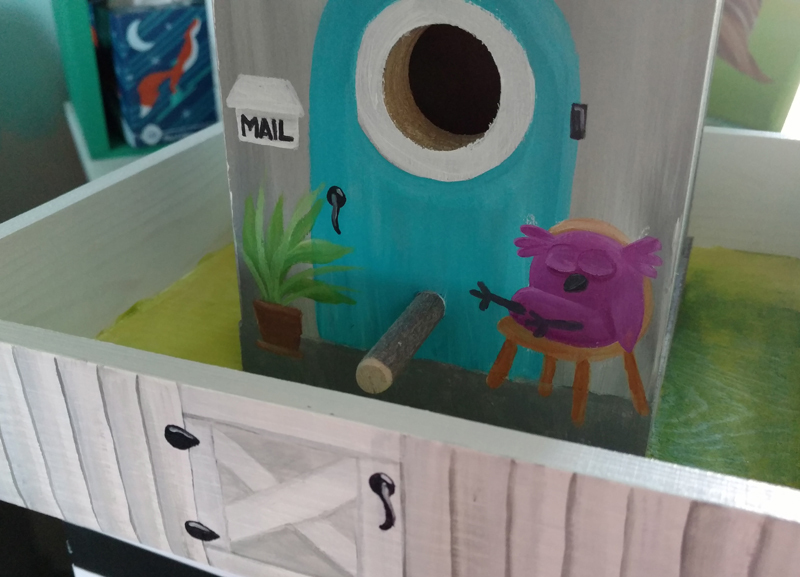 Erie DAWN provided the birdhouse, and I added the platform and fence around it (it’s actually just a wooden box from the craft store) as well as the little welcome mat (crafted from popsicle sticks). 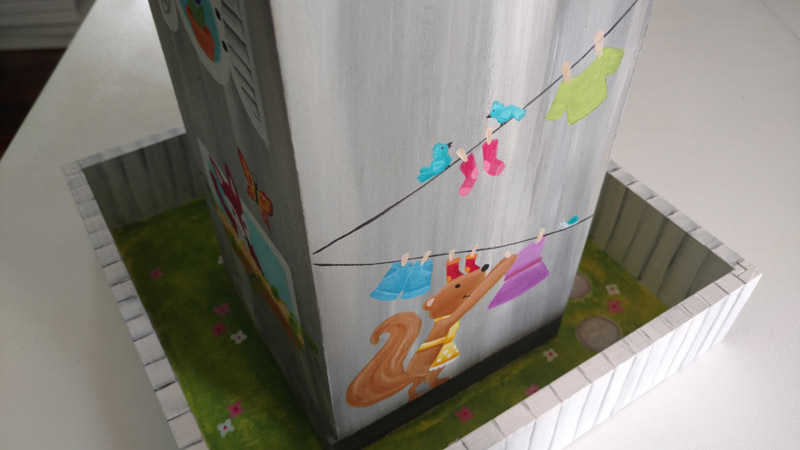 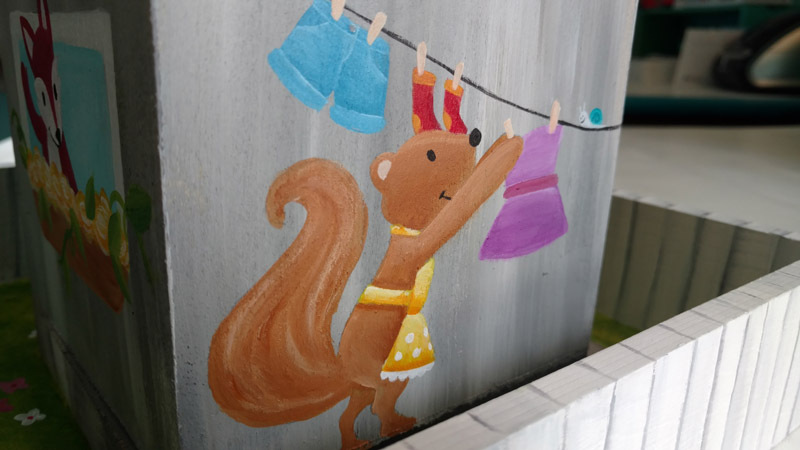 I had a fun time adding all the little details, like the shutters, fence, and critters. 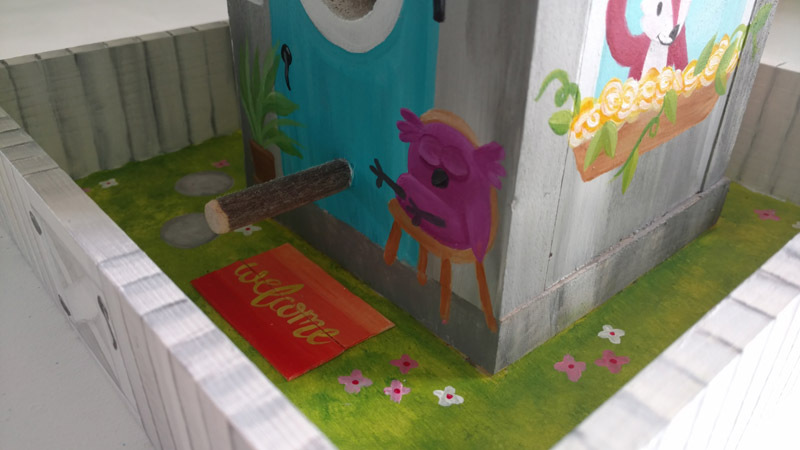 afterwards I sealed it with a spray acrylic sealant. 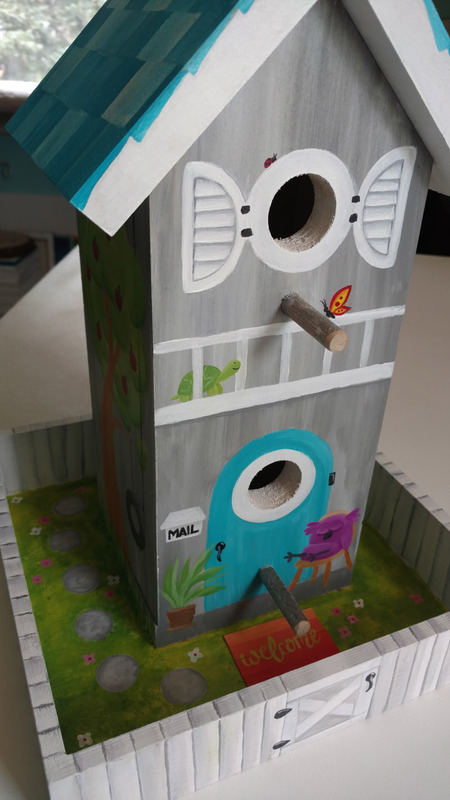 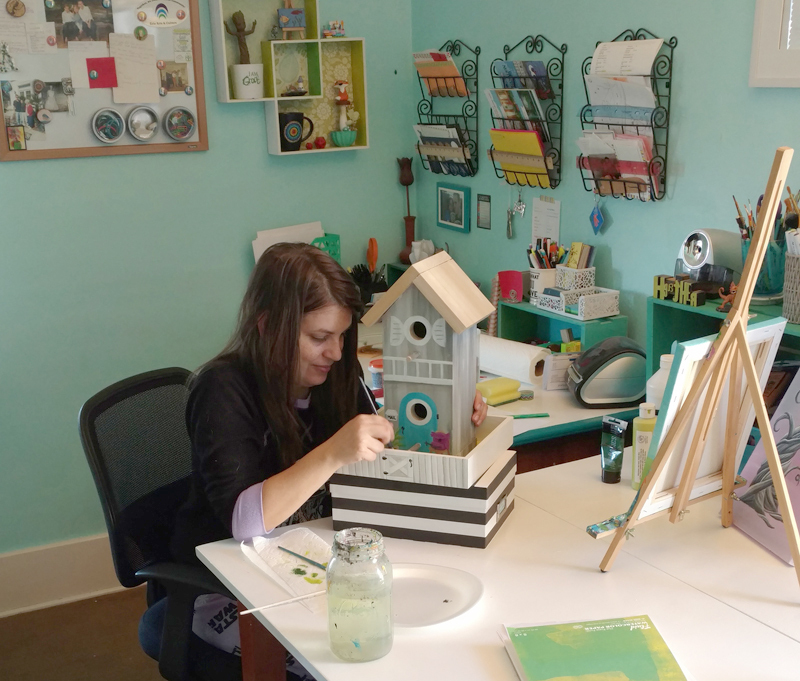 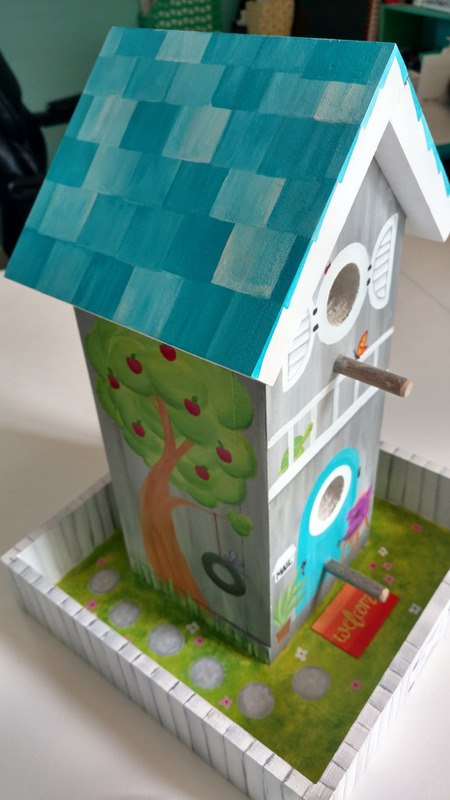 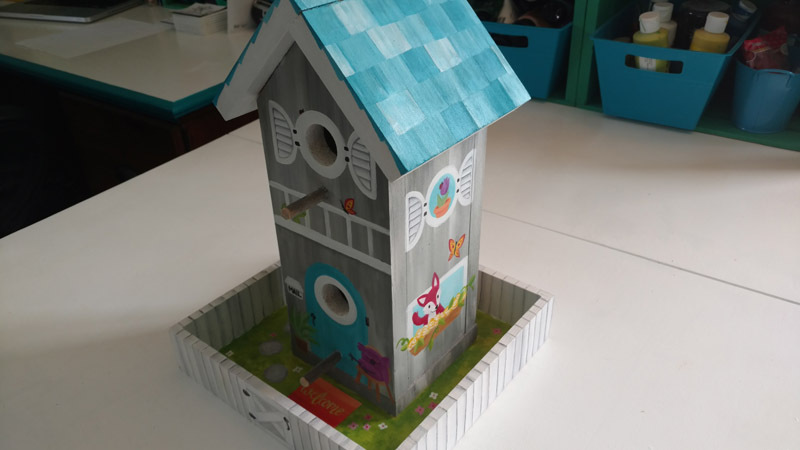 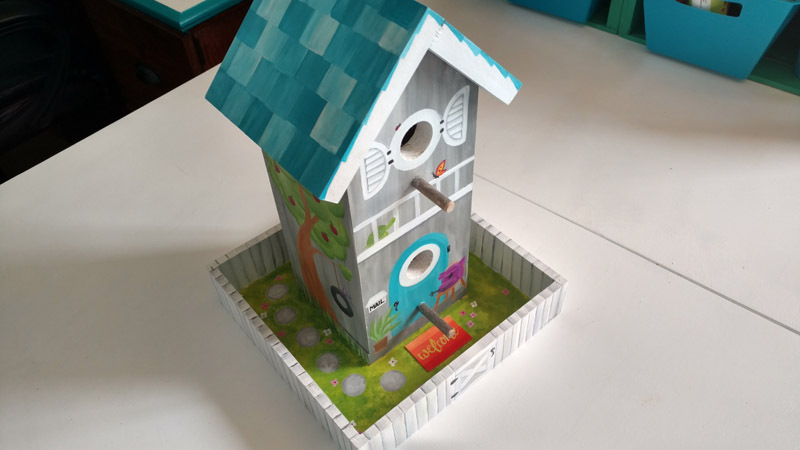 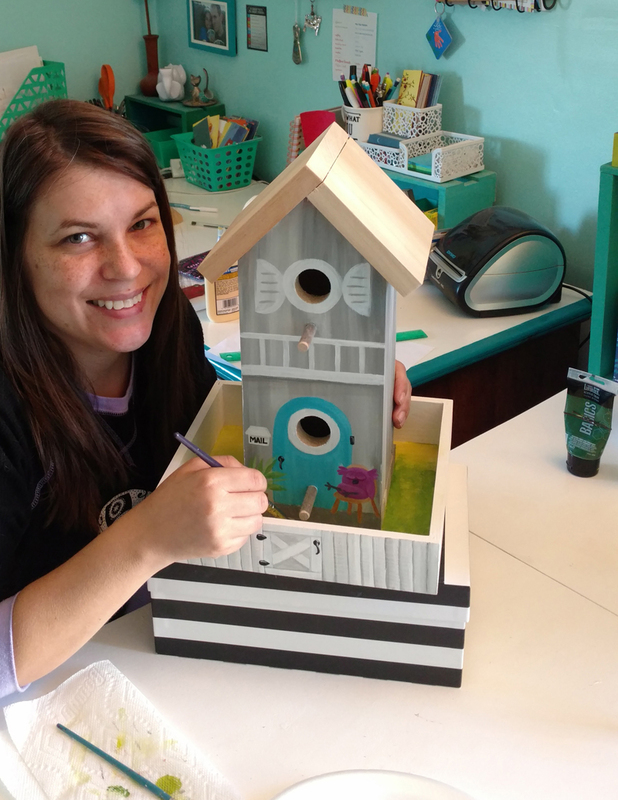 The birdhouse was auctioned off at the event, to raise money for the organization. 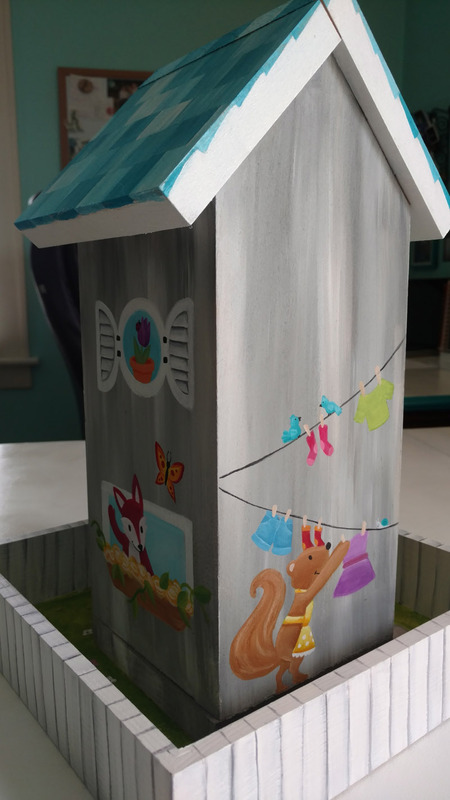 It was so great to contribute to such a wonderful cause!